1. 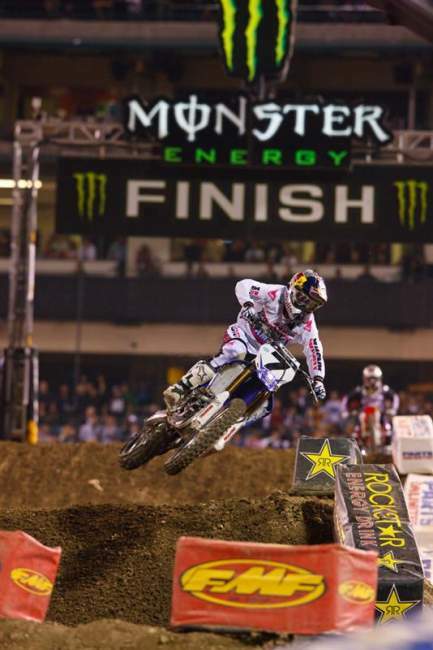 James Stewart - Stewie’s on top, but despite the win, his points lead in the rankings is smaller. 2. 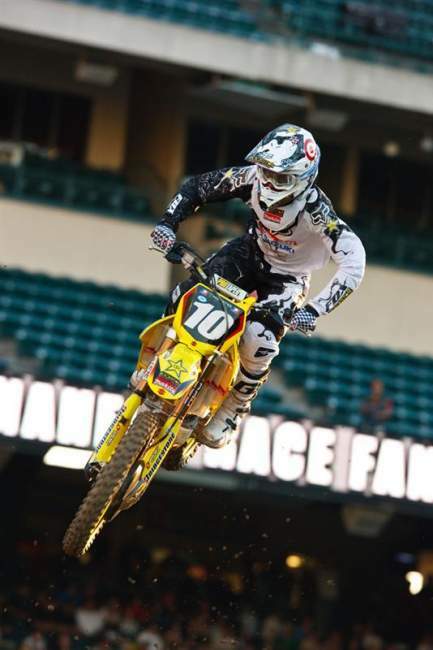 Chad Reed - He is yet to win a race but he’s getting very close. The Suzuki agrees with him. 3. Josh Grant - Grant is the real deal and the voters agree. 4. Ryan Dungey - Ryan moved past the other Ryan due to his impressive win at A2. 6. Andrew Short - The man’s had the quietest, best season so far. He’s third in the points, people! 7. Jake Weimer - Interesting that the voters have him four spots higher than Morais. Morais is ahead where it counts: The points. 8. Kevin Windham - K-Dub hit the podium with his best ride of the season and moved up two spots. 9. Tim Ferry - Not the kind of start Red Dog wanted, but he’ll come around. He’s like a snowball on a mountain. 10. Ivan Tedesco - Another red rider quietly having a good start to the season. 11. Ryan Morais - Very close to winning one of these things. Just needs a little more. 12. Jason Lawrence - He stays in the same spot as last week after his fourth at A2. 13. Davi Millsaps - What’s eating Davi? If he is waiting for east coast dirt, he has it this weekend. 14. Mike Alessi - Sooner or later the whole “Just coming back from injury” thing is not going to fly. 15. Chris Blose - Chris jumped two spots this week and is the surprise of the 250 class. 16. Justin Brayton - Brayton’s one of those guys that is so close to winning a race. We should see him on a 450 soon. 17. Nick Wey - He’s not getting the starts and finished thirteenth last week but moved up one spot. 18. Josh Hill - We’ll give him a break on the results, but see Mike Alessi. 19. Trey Canard - Canard has had a very rough start but the voters are giving him a reprieve. 20. Dan Reardon - He has the speed but something’s missing right now. He stays in the same spot as last week. 21. Ryan Sipes - Moving to the 450 this weekend, will he move up in the rankings as well? 22. Paul Carpenter - Right now, PC is leading the privateer points but is behind Wey in our rankings. 23. Heath Voss - Drops one spot after his fourteenth last weekend. Is fourteenth in points despite missing a race. 24. Josh Summey - Stays in the same spot despite missing the main last week. Catches a break. 25. P.J Larsen - New to the PR after his tenth in A2. He’s looked good in his first two mains.